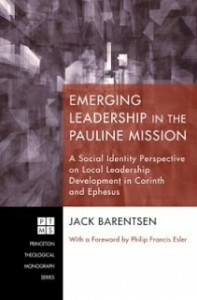 At ILSE, we publish our very own series Christian Perspectives on Leadership and Social Ethics. This is an academic peer reviewed series in the area of theological perspectives on leadership studies, social ethics and other themes that are relevant for leaders in the public domain. While written with academic rigor, this series seeks to be accessible for practitioners in leadership and leadership development. To purchase a book, please contact Peeters directly. In addition, our publications include books and articles written by members of the ILSE Steering Committee. Please contact us if you would like to purchase a copy of a book. This open access book brings together works by specialists from different disciplines and continents to reflect on the nexus between leadership, spirituality and discernment, particularly with regard to a world that is increasingly volatile, uncertain, complex, and ambiguous (VUCA). The book spells out, first of all, what our VUCA world entails, and how it affects businesses, organizations, and societies as a whole. Secondly, the book develops new perspectives on the processes of leadership, spirituality, and discernment, particularly in this VUCA context. These perspectives are interdisciplinary in nature, and are informed by e.g. management studies, leadership theory, philosophy, and theology. A public, full-text version of the book is available here. This article explores the social and ethical significance of the Lutheran dogma of justification by faith alone, as understood by Luther himself, and subsequently appearing in the ideas of Dietrich Bonhoeffer. The main thesis is that a Protestant ethics based on ‘sola fide’ (‘by faith alone’) is a social ethics. The sola fide doctrine is Luther’s main theological heritage and permeates all Protestant social ethics. After a brief summary of this doctrine and contemporary skepticism about it, three interrelated themes are discussed: the sinful human condition, the social meaning of faith and the concept of vocation. As a result, some basic connections to an economics of community and gratitude are established. The Lutheran slogan sola fide, rightly understood, calls us to overcome our sinful selves, and by implication the egocentric grounds of our neoliberal marketplace and the boundaries of meritocracy. The gratuity needed for a social ethical economics is based on a gracious gift of God and, as such, an act of participation through faith. Our personal faith and vocation call us to assume responsibility for the common good. guardianship role of the Church in relation to economics, presenting his doctrine of the divine mandates. Thirdly, I turn my attention to his view on the role of Christian professionals in economic life. While primarily an historic study, in describing these three elements I will also brieﬂy indicate their relevance for contemporary Lutheran economic ethics. A public, full-text version of the article is available here. In this article, I focus on Pope Francis’s “green” encyclical, Laudato Si’. After outlining some of its characteristics, I single out the pope’s engagement with anthropocentrism for critical discussion. The pope criticizes anthropocentrism (the view that human beings alone have intrinsic value), seeing it as a root cause of ecological destruction. Instead, he proposes what I would call a theocentric conception of nature. I criticize this view. First, I suggest that the pope is insufficiently critical in adopting a theocentric approach to the common creation story. Secondly, I argue from both a biblical-theological and a philosophical perspective against the pope’s resistance to the anthropocentrism of Genesis 1:26. Thirdly, I argue that because the pope opts for non-anthropocentrism, the encyclical falls short of offering a constructive way forward in relation to functioning in a technocratic society. Through these comments, I seek to strengthen the powerful and important message of this encyclical. Diversity has been a leadership topic since at least the 1990’s. Since then, socio-economic, cultural, ethnic, religious and ethical diversity continues to increase through massive migration and digital media. This increasing complexity of diversity is now labeled as “superdiversity.” Organizations become complex adaptive systems to respond to these challenges. Some organizations thrive, achieving new levels of creativity and innovation. Other organizations are overwhelmed, losing control, threatened to the core of their identity. How can organizational identities be adapted to incorporate healthy levels of diversity without losing vision, direction and control? Which organizational and leadership skills are needed to enhance creativity and productivity in a superdiverse environment? An international conference at the ETF (Leuven, Belgium) addressed these challenges. This volume sketches the contours of the diversity leadership debate, its ethical and spiritual dimensions and the shape of diversity leadership in religious institutions such as faith communities and schools of theology. There is widespread understanding of the close connection between religion and the ecological crisis, and that in order to amend this crisis, theological resources are needed. This monograph seeks to contribute to this endeavor by engaging the theology of Dietrich Bonhoeffer. His theology is particularly suitable in this context, due to its open-ended nature, and to the prophetic and radical nature of the questions he was prepared to ask–that is why there are many other attempts to contextualize Bonhoeffer’s theology in areas that he himself has not directly written about. In this monograph, Steven van den Heuvel first of all addresses the question of how to translate Bonhoeffer’s theology in a methodologically sound way. He settles on a modified form of the general method of correlation. Then, secondly, van den Heuvel sets out to describe five major concepts in Bonhoeffer’s work, bringing these into critical interplay with discussions in environmental ethics and eco-theology. In making the correlations he thoroughly describes each concept, situating it in the historic and intellectual background of Bonhoeffer’s time. He then transposes these concepts to contemporary environmental ethics, describing what contribution Bonhoeffer’s theology can make. The End of Leadership outlines a response to the deep and dramatic changes currently taking place in leadership, power and authority, as observed in our societies. The volume is the result of a conference on the theme. The papers consolidated in this volume are divided into three main parts. In the first part, a theoretical discussion on the changing shape of authority is discussed. In the second, leadership models that challenge traditional leadership models are described. These include the influence of complexity and a network society on leadership. The final part of this volume focuses on leadership ethics and prudence. These papers discuss ethical challenges because of the “End of Leadership”, which are characterized by the need for deliberation and prudence. How can leaders live their Christian values in a world which is changing at an ever faster pace and getting more complex every day? In this volume, more than a dozen authors from Africa and Europe present the topic of Christian leadership either from a theoretical perspective-introducing new approaches, reflecting on biblical examples, giving frameworks for evaluation-or through case studies presenting and evaluating practical aspects of Christian leadership in a variety of cultural and organizational settings. Leadership scholars and Christian leaders who do not want to follow the latest fad in leadership studies, but who want to critically reflect on their own perspectives and approaches to leadership will find a wealth of inspiring and challenging thoughts in this volume. What is it about leadership that makes being a moral leader such a challenge? Why do leaders typically make the same mistakes over and over again, throughout history, across cultures and over time? How do expectations of heroic leadership impact a leader’s moral integrity? How do followers contribute to (or undermine) a robust ethical stance of their leaders? This volume addresses these and other questions from a variety of interdisciplinary, practitioner and faith perspectives. It contains, for example, a historical account of leadership challenges, an engagement with the responsibility ethics of Dietrich Bonhoeffer, and a contextual study of the specific challenges of ethical leadership in Russia. This second volume of the series Christian Perspectives on Leadership and Social Ethics, published by the Institute of Leadership and Ethics, of the Evangelische Theologische Faculteit in Leuven (Belgium), serves leaders to face an increasingly complex reality. In a world of managerial discourse, measurement and control, leaders and workers alike cry out for inspiration and innovation in a way that respects their humanity. Spirituality as the search for meaning and a healthy work/life balance is therefore no longer an esoteric phenomenon but part of mainstream leadership. In this volume, two business leaders share how they have seen the need for spiritual leadership develop at their places of work. A psychologist and a philosopher explain what spirituality is, and how it works in the practice of business leadership. Three theologians frame spirituality by demonstrating the benefits of Ignatian spirituality, by comparing spiritual leadership with Christ’s offices as king, prophet and priest, and by reflecting on the human tendency to glorify the leader and how destructive tendencies can be avoided in spiritual leadership. 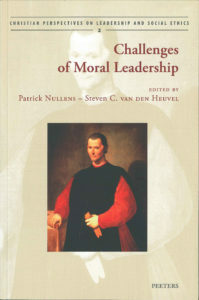 This maiden volume of the series Christian Perspectives on Leadership and Social Ethics, is published by the Institute of Leadership and Ethics, of the Evangelische Theologische Faculteit in Leuven (Belgium) and serves leaders to face increasing pressure for innovation in today’s fast changing world. Augustinian concept of a hermeneutics of love. In a theologia caritatis love is seen to precede knowledge and is used as a hermeneutical tool. Love is a lens through which we see true values. However, love is not a vague emotional notion, deprived of all normative principles. The ‘covenantal relationship’ narrated in Scripture provides the framework for moral authority. True love is ‘obedient love’. We will apply this hermeneutic of love to 2 Timothy 3:16-17, the passage most commonly used to affirm the moral authority of Scripture. This article is a reflective answer to the growing interest in the ‘spirituality’ of a leader found both among active leaders and in the field of Leadership Studies. The term ‘spirituality’ is so complex, however, it requires a more thorough theological reflection than (secular) Leadership Studies can offer, especially considering the more specific matter of how a Christian leader embodies his/her spirituality in his/her leadership. This article discusses four components of leadership: the leader’s sense of reality, the sense of a higher calling, the sense of belonging and the sense of morality. Further, the thought of Dietrich Bonhoeffer provides each of these components with not only a Christian but an explicitly Christocentric content. Where did Paul find leaders for his new churches? How did he instruct and develop them? What processes took place to stabilize the churches and institute their new leadership? This book carves a fresh trail in leadership studies by looking at leadership development from a group-dynamic, social identity perspective. Paul engages the cultural leadership patterns of his key local leaders, publicly affirming, correcting, and improving those patterns to conform to a Christlike pattern of sacrificial service. Paul’s own life and ministry offer a motivational and authoritative model for his followers, because he embodies the leadership style he teaches. As a practical theologian avant la lettre, Paul contextualizes key theological themes to strengthen community and leadership formation, and equips his church leaders as entrepreneurs of Christian identity. A careful comparison of the Corinthian and Ephesian churches demonstrates a similar overall pattern of development. This study engages Pauline scholarship on church office in depth and offers alternative readings of five Pauline epistles, generating new insights to enrich dogmatic and practical theological reflection. In a society where many churches reflect on their missional calling, such input from the NT for contemporary Christian leadership formation is direly needed. In today’s world, many Christians don’t know how to live ethically, let alone know what ethics is. Christian ethics probes our deepest sensibilities as humans and how we seek the good for others as well as for ourselves as followers of Christ. This book begins to delve into this relevant and contemporary subject through methodological reflection on the commands, purposes, values, and virtues of Christian life in today’s context. To address these factors, an integrative approach to ethics is proposed, borrowing from classical ethical models such as consequential ethics, principle ethics, virtue ethics, and value ethics. This is what the authors call a matrix of Christian ethics. 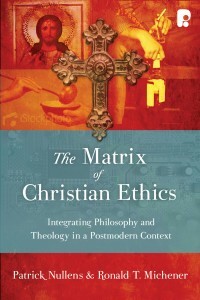 This matrix will be played out in a variety of ways throughout the book, from the discussion of the postmodern situation of ethics and values to current proposals for the ongoing development of Christian ethics today. It concludes with some practically oriented guidelines to help the reader consider contemporary ethical questions and conflicts within a framework of biblical wisdom, in view of the ongoing work of the Holy Spirit in the lives of followers of Christ. In addition to our academic publications, we have publications that are aimed at disseminating academic knowledge. ‘Caritas’ kan worden opgevat als een vorm van vertrouwen. Als zodanig is het verbonden met andere vormen van vertrouwen, zoals hoop. Naast liefde en geloof, is hoop een van de drie christelijke kerndeugden. Ze zijn onafscheidelijk met elkaar verbonden. Ze zijn niet alleen deugden die ons handelen richting geven, het zijn ook drie eigenschap- pen van de mens. Deze stelling wordt in het eerste deel van het artikel onderbouwd. Vervolgens richten de auteurs zich op het belang dat hoop heeft voor het economische leven en voor economen.